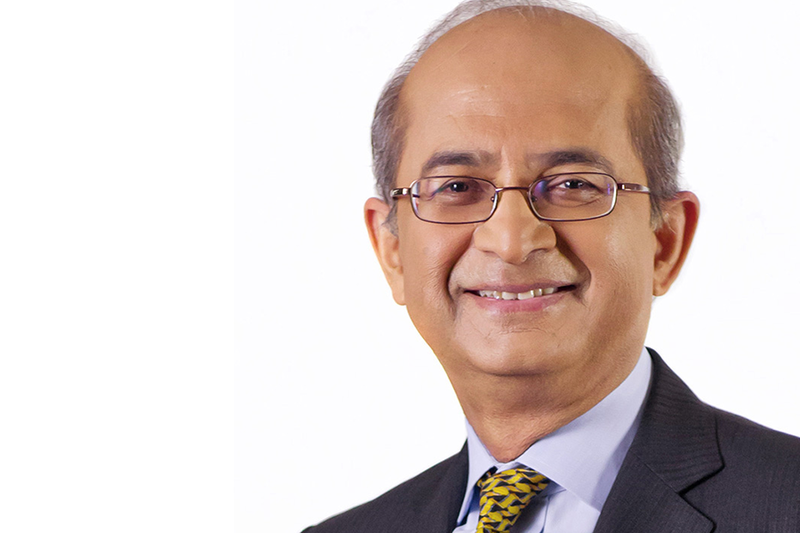 Rajat Nag will receive an Honorary Doctor of Laws at Spring Convocation. Rajat Nag didn’t really know what he was in for when he came to the University of Saskatchewan back in the summer of ‘69. But with apologies to Canadian rock icon Bryan Adams, it turned out to be some of the best days of his life. From southern Asia to southern Saskatchewan, moving from a major metropolitan megacity in densely-populated Delhi to the slower pace of Prairie life in Saskatoon proved quite the culture shock. The stark change in climate from sub-tropical India to experiencing snow for the first time was also an eye-opener for Nag. But the biting chill of his first -40 Celsius winter was quickly tempered by the warm welcome he received on campus from new friends and faculty, many of whom he remains close with to this day. "It was undoubtedly a big change and a culture shock, but perhaps because I was young (not even 21), all those experiences of change were exciting and exhilarating," said Nag, who will be the first of six individuals to receive honorary degrees from the U of S during this year's Spring Convocation. "It was fun. I still recall my wonder at the first snowfall I experienced and my inability to comprehend what -40 degree cold really meant, until my ears and nose almost froze over. "I also found to my great delight that the usual Prairies hospitality is even more generous in the winter. Whenever my car broke down—and it broke down often in the sub-freezing temperatures—I was most touched at how soon a Good Samaritan would stop to help and even invite me to sit in his car to warm myself while he tried to fix mine. Amazing hospitality." Nag went on to earn a pair of graduate degrees at the U of S—Master of Science and Master of Business Administration—and later moved on to the London School of Economics before beginning a successful career in international banking and as a global leader in development in Asia and the Pacific. But his experience as an international student on campus at the U of S was about so much more than lectures and labs. "In addition to the very solid academic training that the university imparts, I have always felt that the U of S also gave me a sense of good grounding in reality," said Nag. "Maybe it's the Prairie setting, maybe it's the human scale of things here, maybe it's the sense of values in a place like Saskatchewan, and perhaps it's a combination of all the above. But I felt that the U of S gave me a complete education, going beyond just the books and the academics, as very important of course as they are." Those Canadian values mirrored his own, and Nag has spent his working life dedicated to balancing economic development with a commitment to education and the environment. After beginning his career as an economist with the Bank of Canada, Nag served as the managing director of the Asian Development Bank, building business opportunities and infrastructure in Asia and the Pacific. But equally important to Nag has been his commitment to equality, justice and human rights, particularly gender-related issues. "I am currently working to enhance regional co-operation and integration in Asia and beyond, and bridging the gap between the region's thriving economies and the millions of poor being left behind," said Nag. "Income inequality is increasing in most of Asia," he added. "Progress on other issues such as justice and rights varies across the region, but in almost all cases much remains to be done." Now 67 and living in Delhi, Nag has visited Saskatoon several times over the years and has lifelong friends here in the city and on campus. Nag will return again later this month when he is awarded an Honorary Doctor of Laws during the first ceremony of U of S Spring Convocation on Monday, May 30, when the Colleges of Agriculture and Bioresources, as well as Engineering, take centre stage at TCU Place. "I have been back several times and have had the honour of speaking to students and other guests during my visits," Nag said. "I was here only last year with my wife and it was a great homecoming; a great trip down memory lane. I still have several very close friends here in Saskatoon who have actually long since become my family … Saskatoon always remains a very special place for me to cherish as home."